When heat is applied, the band can shrink up to 40% of original size. Perforated for easy removal. COMMENTS: These shrink bands are the perfect size for slimline lip tubes, I just wish that I could figure out how to print directly on them! I love how the perforation is horizontal instead of vertical, so the label is protected! COMMENTS: I had been trying to use the regular shrinks for these until these came out. Wasn't working, these are a life changer! COMMENTS: These are a must when selling lip balms. I love the idea of them being sealed! 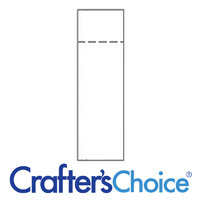 "Very nice but a bit too strong"
COMMENTS: I like this product and it worked well going on but my customers have had a bit of trouble getting it off of the lip balm and have had to use scissors to get it off of the packaging. 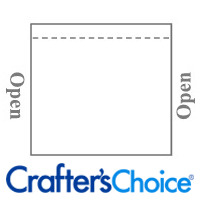 COMMENTS: this is great to keep customers from opening your products at craft shows or in your store. easy to use and perfect for your needs. COMMENTS: LOVE these. Helps keep balms and solid perfumes clean, looking neat and stops customers 'trying' the products before purchase. We provide a sample jar in front of our products for customers to see, feel, smell, etc. Our stock losses have been cut to the quick thanks to the shrink wrap seals. This is something we do not want to do without. Customers seem to feel more confident in purchasing items sealed 'for their protection'. Leaves a slick, neat, high quality appearance. Takes little time to complete large sets of sealed product - no matter what it is. COMMENTS: These have changed in size slightly over the last bit. I really love these. The size change has made it easier to use and they make my product look very professional. "Slim lip tube shrink bands"
COMMENTS: I love the Slim lip tube shrink bands. They are so easy to use and fit so securely. I don't worry about my slim lip tubes getting the labels messed up before I sell my lip balm or gift it. Really works great for me. I keep plenty on hand. • Shrinks easily and tight. COMMENTS: Getting ready to order another big package of these. Like all my shrink bands, these work wonderfully! 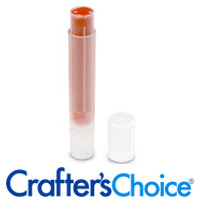 "Shrink wrap for lip balm & solid perfume"
COMMENTS: These are great for the slim tubes! I wrap my solid perfume & lip balms with these! COMMENTS: Perfect fit for the 0.07 oz Lip Tube & Cap Natural Slim Round products. Covers label and lid, and heat seals with a hair dryer without any trouble. COMMENTS: These bands make my lip balms look very professional. They also discourage customers from opening the tops before purchasing them. COMMENTS: thanks for making these in the slim tube size! COMMENTS: These shrink bands are great- fit right onto the slim tubes easily and hassle-free! "Any recommendations on how to use a hand dryer with these. I seem to always melt my lip balms"
"What is the thickness/gauge of your shrink wrap band 20mm x 82 mm? Are the rest of the bands the same gauge?" "Is there a separate shrink wrap for the 12ml frosted sprayer & botle or would these 20x82 bands fit when shrink wrapped?" Staff Answer The 20x82 is too small for this sprayer set. 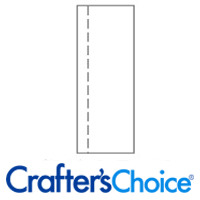 We recommend you use the 35x90 which gives you a nice seam for easy removal. "Does anyone have a trick to get these onto the slim lip balm tube? It is so hard to get them open to slip them on-HELP!" Staff Answer The best way to get the Slim Lip Tube inside of the shrink wrap band 20 X 82 is to push open the sides of the shrink wrap. You should have a small opening that you can slip the lip tube inside. Once inside you should be able to push the entire tube inside of the shrink wrap band.